The Adidas Busenitz Pro Shoes in Black Leather with a white sole. 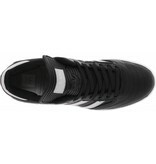 The Busenitz Pro is based off the old Copa Mundial soccer cleat and redesigned by Dennis Busenitz for skateboarding. 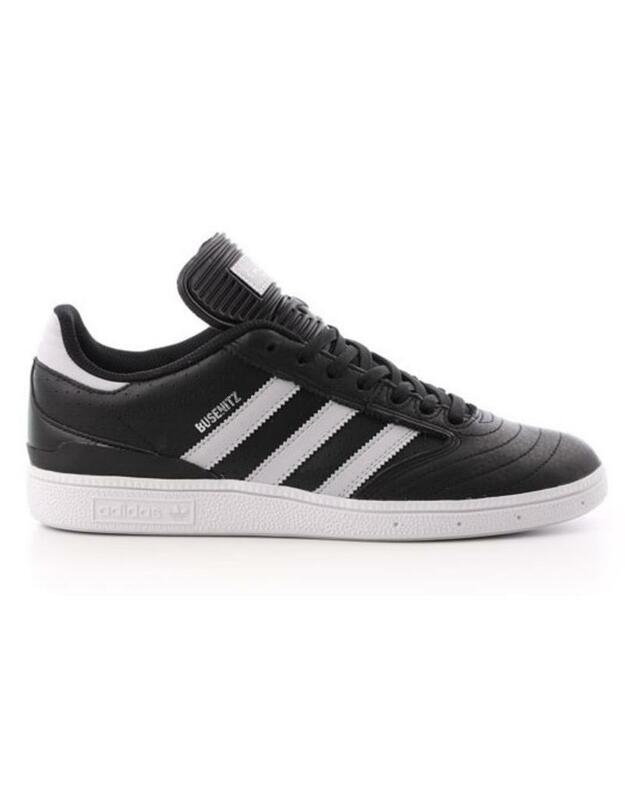 These shoes have been Adidas Skateboarding's #1 shoe since their debut over 10 years ago. 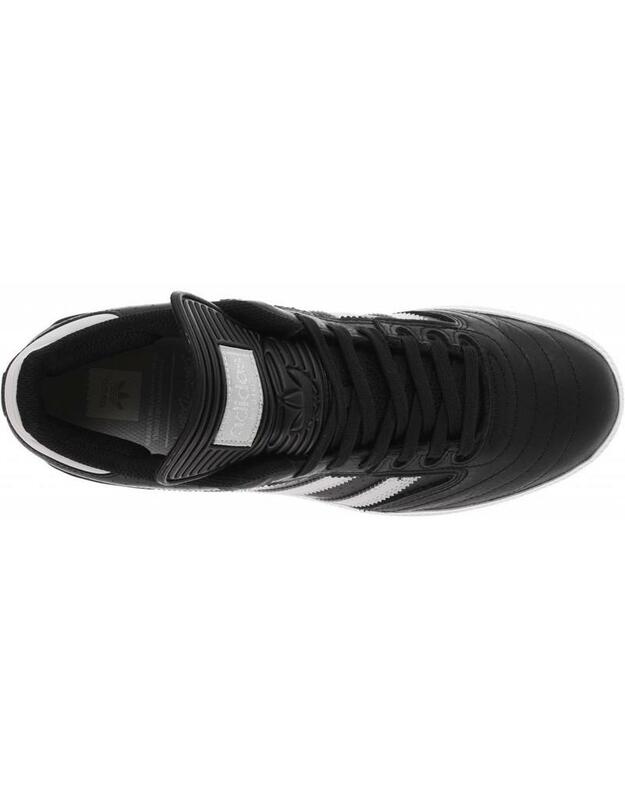 This colorway goes back to the classics and is an amazing black premium leather with a silver Busenitz print on the side and slightly grey side stripes to match. 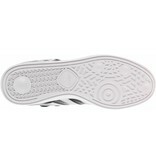 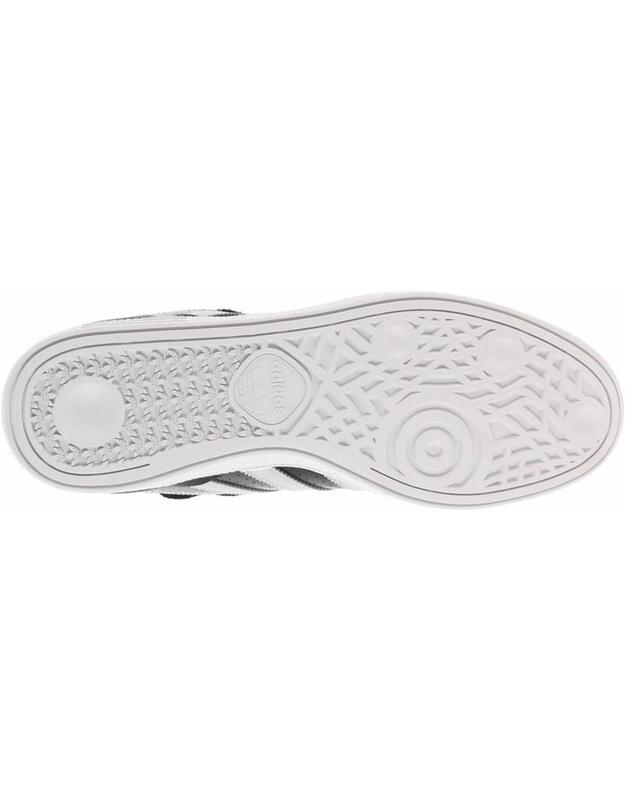 These feature a thin cupsole that offers a lot of comfort while still allowing board feel.